I haven’t been very subtle about my shock and awe that I’ve managed to decorate ON TIME for a holiday! You’ve seen some sneak peeks on social media and snapchat, but today I get to share some of MY favorite shots from my collaboration with the Home Depot Blog for their Harvest Style Challenge! The way the style challenge works, is I get sent a few surprise items from Home Depot to start my decorating. I opened these live on Facebook and LOVED what a springboard they were for the whole scheme: two fun metal lanterns and a wreath to DIE for. 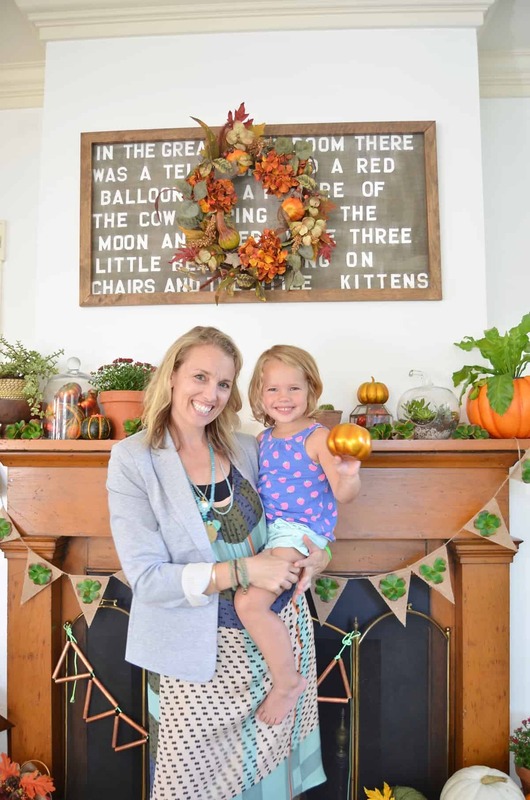 This is our first fall in the new house where I don’t have an infant and can really focus on decor…. Last year I participated in the Lazy Girls Fall Home Tour and it was hilarious. (They’re threatening to vote me off the island because of this mantel, but I’m still making a case for membership.) Also… the living room where this gorgeous mantel resides was recently painted WHITE and it makes every photograph that much more awesome. Paint = miracle worker. I’ll be posting tutorials for the succulent garland as well as the copper decor… I love the contrast between the soft green leaves of the succulents and the shiny smooth metal of the copper! 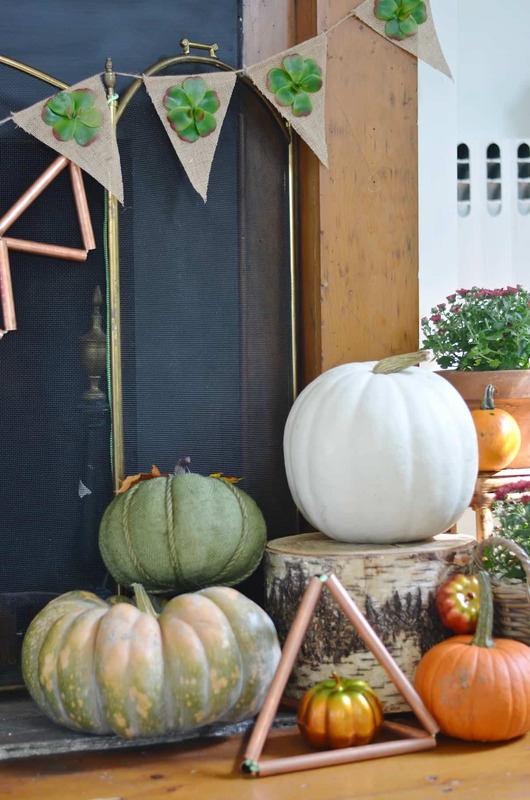 And if any if you are expecting more fall decor… I can’t promise anything! 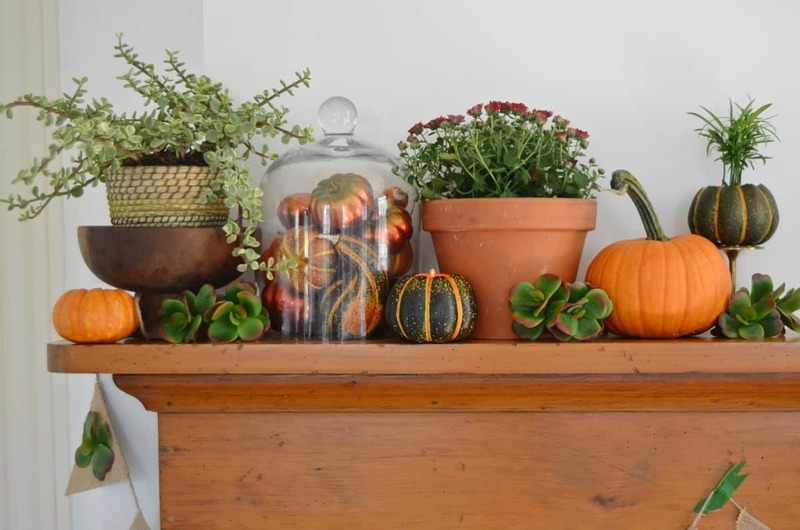 I LOVE bringing in nature and plants and harvest is an obvious time for that with all the gourds and pumpkins and mums on display. As part of my ‘thank you’ box, I also got that cute burlap garland and the idea of bringing in greenery there too was appealing. 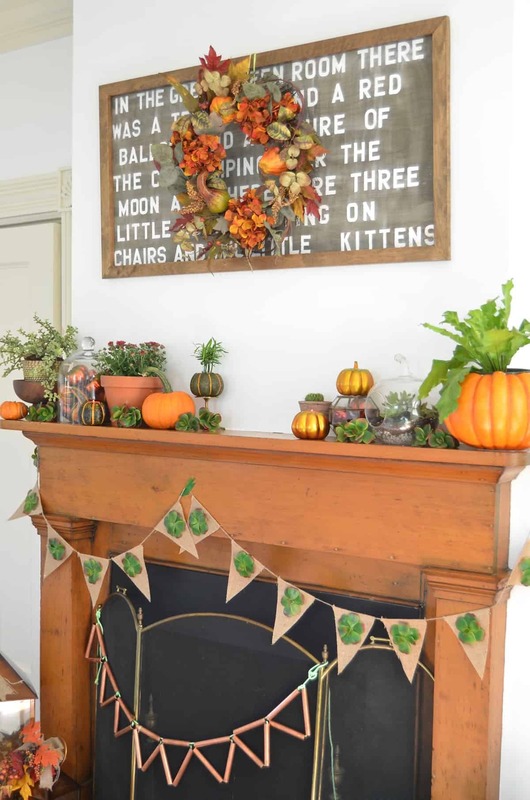 I don’t want to share toooo much of the mantel, but head on over to The Home Depot Blog to see the FULL reveal there. Thanks again to the Home Depot for collaborating with me on this post! Fall is IN THE HOUSE! Miracle! 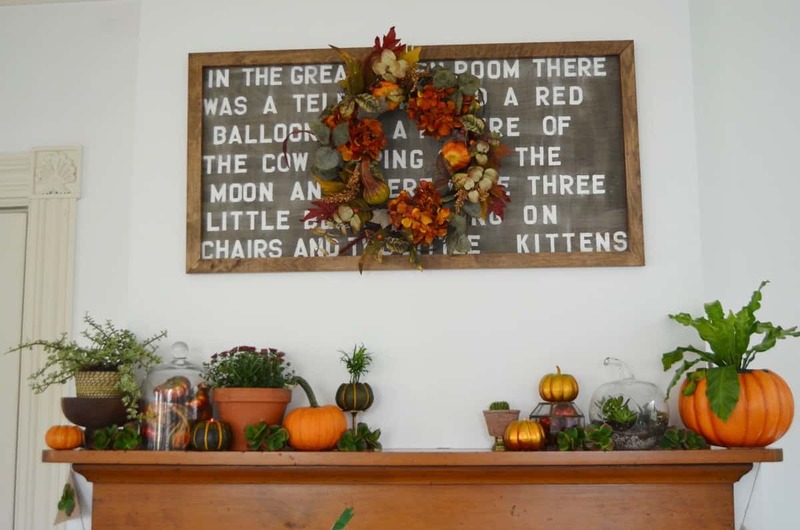 I love what you did to your mantel. The fall decoration is beautiful.